Sidney Crosby has been named the captain of Team Canada at the World Cup of Hockey, while Jonathan Toews and Shea Weber will serve as alternate captains, the team announced on Thursday. Crosby, Toews and Weber is the same group that helped lead Canada to the gold medal at the 2014 Olympic Winter Games in Sochi, Russia. Crosby, 29, won his second Stanley Cup with the Pittsburgh Penguins during the 2016 Stanley Cup Final and has been the captain of the Penguins since the 2007-08 season. At the international level, Crosby has also been a member of Canada’s gold-medal teams as assistant captain at the 2010 Olympic Winter Games and as captain at the 2015 IIHF World Championship. 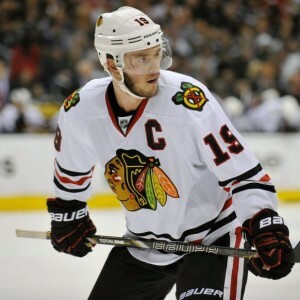 Toews, 28, has been the captain of the Chicago Blackhawks since 2008-09 and has won three Stanley Cups during his NHL career. Toews served as assistant captain on the 2007 IIHF World Junior Championship gold medal team and when Canada won gold at the 2010 and 2014 Olympics. Weber, 31, served as the captain of the Nashville Predators for six seasons before being traded to the Montreal Canadiens earlier this summer. Weber will be an assistant captain of the Canadiens when NHL play begins in October. Internationally, Weber has been a member of gold medal teams at the 2010 and 2014 Olympics, while also winning gold at the IIHF World Junior Championship and IIHF World Championship. The World Cup of Hockey is an eight-team international tournament set to take place at the Air Canada Centre in Toronto from Sept. 17 to Oct. 1.